Sometimes, Groupon throws up some gems! This time, I stumbled upon a six month subscription with POWDER. 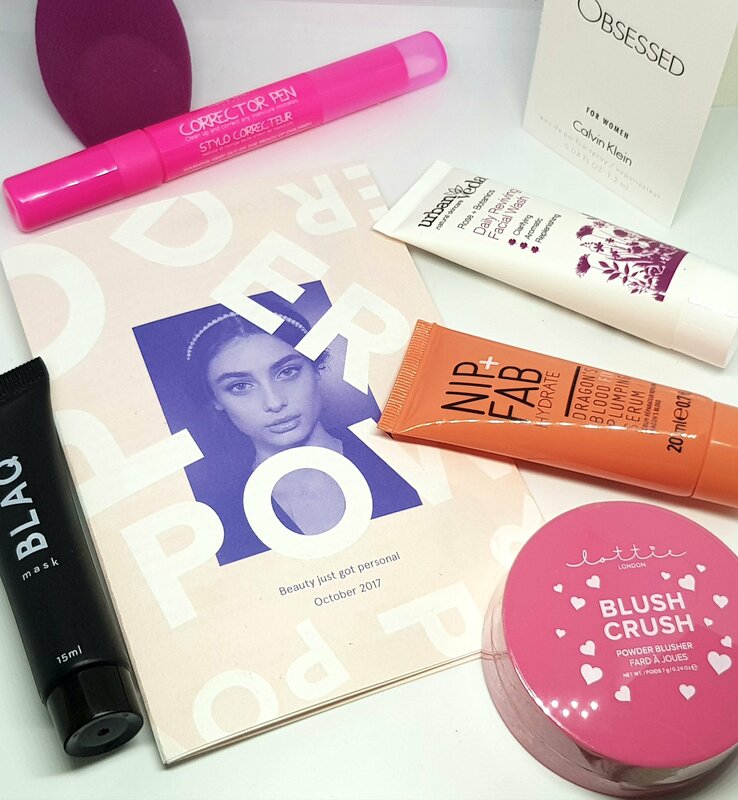 A new subscription box brought to you by the Time inc. company (who are behind Marie Claire, Look and Instyle.) Usually, ‘This is Powder’ subscription drawer is £15 a month, plus P&P. You generally get 6-7 items, with a mixture of full and sample size. I’m now onto my third box. Because I purchased through Groupon, my first box was a previous edit from June, then October’s and November’s edit. 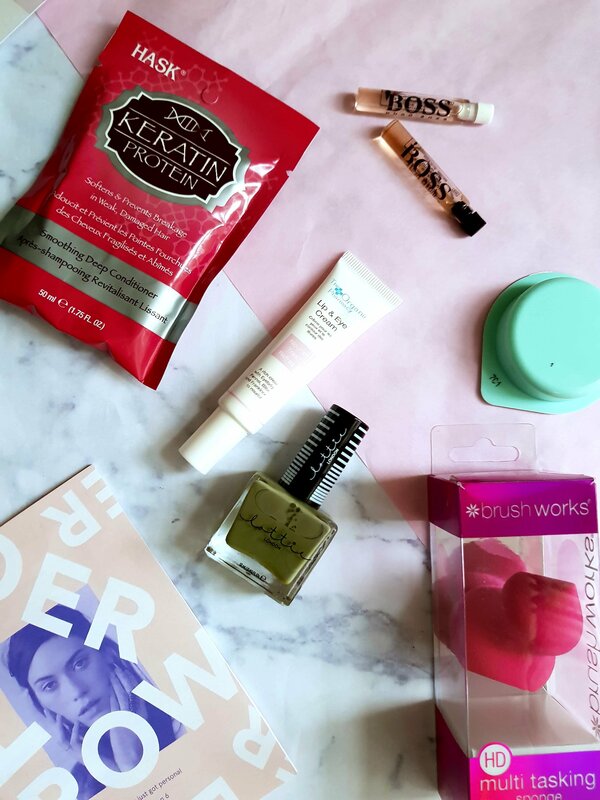 I love the sturdy, pink drawer that it all comes in, it’s definately the most reusable subscription box packaging. It’s less flimsy that Birchbox, but perhaps they could mix up the pink design a bit? You do seem to get more products than most boxes, but lots are samples. For example, November’s box contained 7 products but, two of these were perfume samples for Hugo Boss(one male/one female). October’s box contained Nip and Fab dragon blood serum (sample) which I’ve been wanting to try for ages! The Nails Inc corrector pen was a new find, that I now use every time I do my nails! It’s so neat and tidy and cleans up those wobbly mistakes! But, both November and October contained a beauty blender and perfume samples. They’ve obviously partnered with certain brands – there was another NailsInc product and Lottie of London. But, I do think they need to up their game a little. 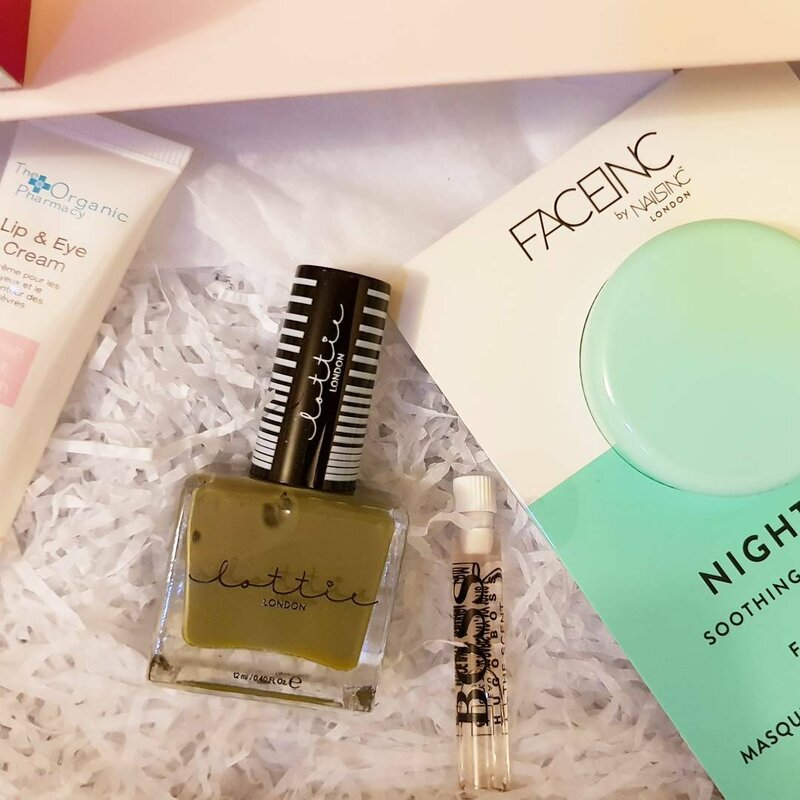 The Face inc Night Night hydro mask (by NailsInc) was a lovely night mask, intending to restore moisture. It says single use, but even with a thick layer, I was able to use it three times! My favourite product of November, was the Lottie of London Khaki green polish. Simply because, I wouldn’t pick this colour for myself, yet, it made me try it and I loved it! Except that, my first box (June edit), also contained a polish from Ciate. But at least they are high quality brands and different shades. 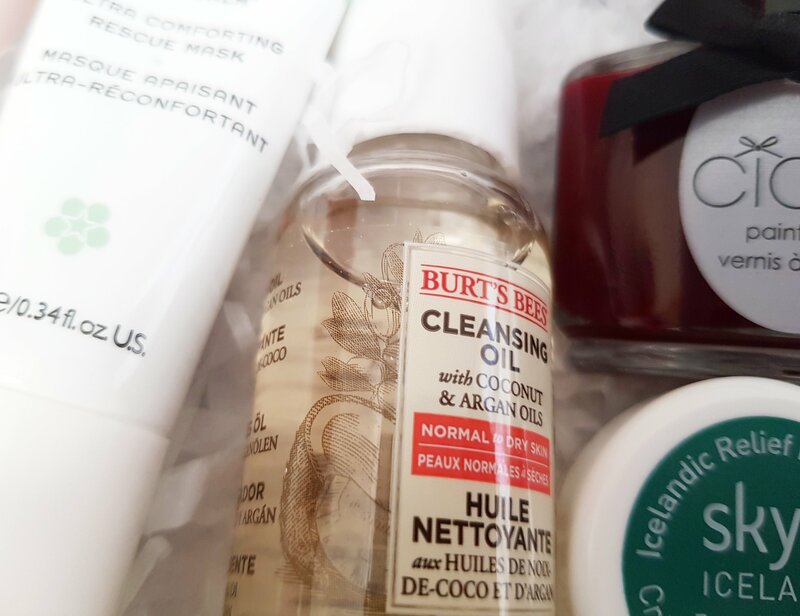 Skye eye cream and Burt’s Bees facial oil were repeats for me from other boxes, but I liked the REN mask and loved the Elemis face cream! The Smashbox lipgloss is a lovely shade and dries matte. Overall, I’m not wowed by these boxes. They’re nice enough, but there’s now show stopper products. I feel they often repeat products or brands. They do have the best packaging and quantity of products, but for the higher subscription price, I expect more full size. Perfume samples should be an extra, in my opinion, not part of the general box makeup. I loved the inclusion of high end brands such as Smashbox and Elemis, but this isn’t regularly enough. Two nail polishes and a further nail polish related product. The rest, have so far not been repeated!